That is a rare thing you saw. It was considerate of North America to welcome me back that way. Thanks for a wonderful series, Steve. You’re welcome. I hope some of those images let you see your country in new ways. Une telle beauté est très rare Steve, cela a dû être un moment fabuleux. Et à toi aussi, Chantal. Thank you, Steve. I thoroughly enjoyed the natural wonders of New Zealand through your lens! You’re welcome, Sammy. You can tell that I had a great time with New Zealand’s natural wonders. It was a wonderful “trip” Steve~ thanks for taking us along! You’re welcome. I wish you could have come along for real, but let’s hope it won’t take you as long to get there as it took me. Then you’ll have a reason to rise up from your armchair and come visit central Texas. Wonderful blog posts about New Zealand! With such a scenic place, it wasn’t hard to rack up lots of photographs for lots of posts. I’m glad you enjoyed the tour. I have really enjoyed seeing your view of my country. This is a great shot. I’m glad you’ve enjoyed this visual interpretation of New Zealand through the eyes of a foreigner. Tomorrow it’ll be back to Texas. Spectacular photo. Thanks for sharing this experience. You’re welcome. How could I not share all these treasures? I’m a little surprised by how sorry I am to see the New Zealand series end. I certainly have enjoyed it — no more considering Australia-and-New-Zealand as one big, undifferentiated lump! And thanks for that link to the whole series. it will be fun to look at the photos again in light of all I’ve learned through your postings. I still think a gallery show would be fabulous. You’re right: although Australia and New Zealand are relatively close to each other in distance, the two places are quite different (and of course Australia is the size of the 48 United States, so it has huge internal differences within it). I’m sorry to see the series end too. I could have shown more, but I think 70 posts was plenty for a blog named Portraits of Wildflowers that focuses on nature in Texas. Your idea for a gallery show makes me wonder if the New Zealand embassy or any of its consulates in the United States might be interested in sponsoring such a show. I’d already been planning to alert the New Zealand embassy and consulates once I’d completed my posts about their country. I didn’t know (and still don’t know) what that might lead to. I hadn’t thought about a physical exhibition, but it’s a good idea. I’ve enjoyed it. The natural beauty of NZ is amazing, and it’s been nice to have the benefit of a gifted eye for it. Thanks for sharing. I recall the first time I crossed the date line. I was traveling on business. I left home the day before my anniversary and arrived in Australia on the day after it. It was like my anniversary never happened that year. You’re welcome for the photographs, which naturally I enjoyed taking. Nature in new Zealand makes it easy to get good pictures. 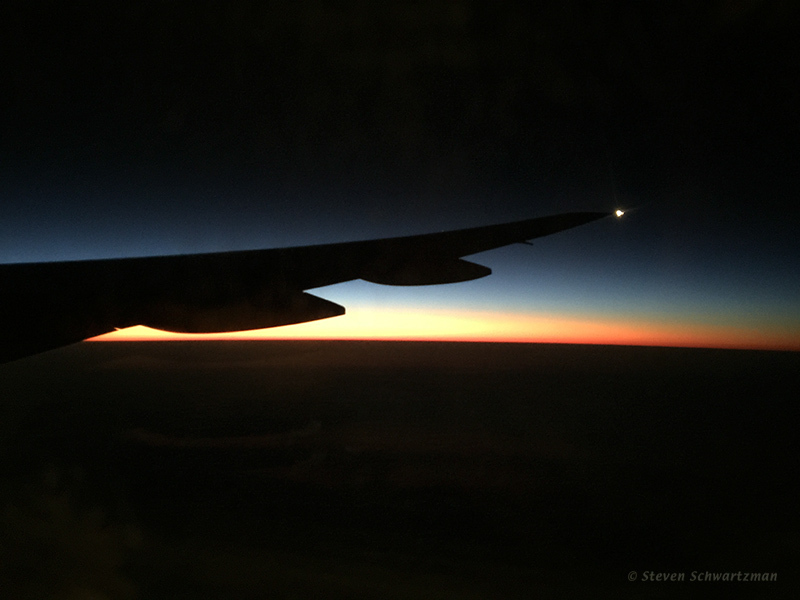 How many people travel half way around the world to photograph the dawn twice? I don’t know the answer to your question, but I can tell you that that wasn’t my intention when I headed for New Zealand.